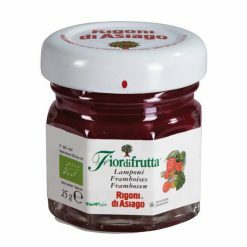 Organic raspberry fruit spread; non-sugar. This delicious organic raspberry fruit spread is made from organic raspberries, concentrated apple juice and citrus pectin. It is delicious spread on bread or toast, or in combination with yoghurt, pastries, cheese or savoury dishes.